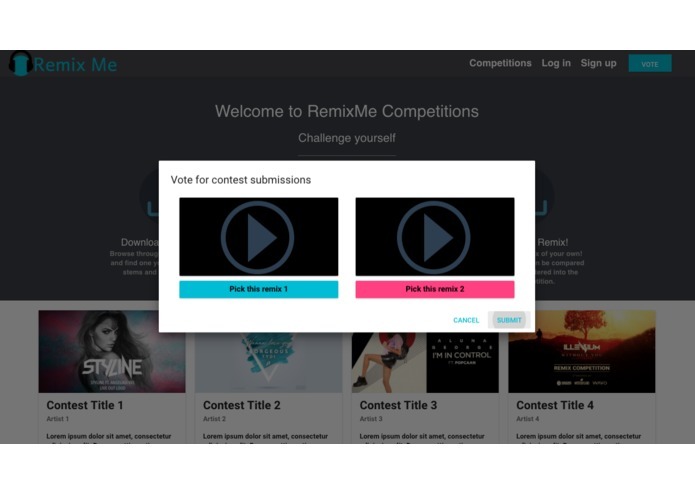 We promote unknown artists by proving a competition platform uses a fair voting system. Home Page - Select A contest! It can be difficult for upcoming artists to be noticed. Even those with a lot of talent and skill can be easily overlooked in the sea of voices wanting to be heard. We help those with the passion to create high-quality music stand out in the crowd. 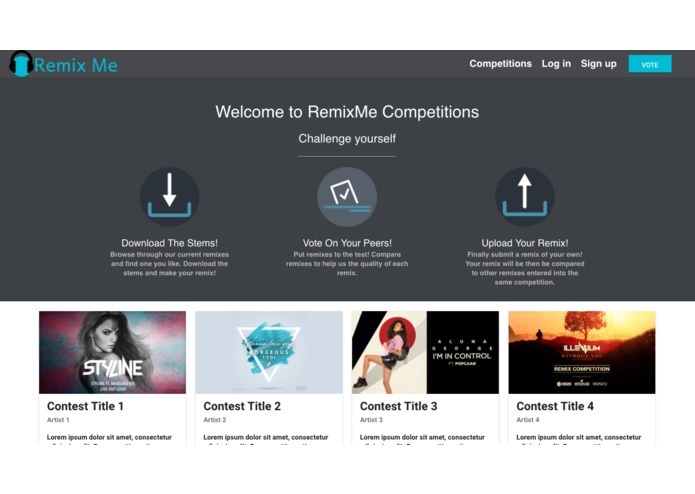 Remix.Me provides a platform in which musicians can browse through a category of remix contests. Once they've chosen one, they can enter the competition and compete. In order to complete their submission, though, they must work with us to help determine which remixes are the highest quality. This is done in a blind tournament style, in which community members vote for which contest they believe is best. If you happen to win a competition, your song can be automatically connected through the performing rights organization, Socan to help you begin making money for your craft! We developed the application with React, Node.js, MongoDB, and Socan's API. Developing a fully functioning website in 24 hours is no easy task! Especially one that looks and feels great. We ran into some issues prioritizing what needed to be worked on most. In the end, though we were able to pull through and complete all of our core requirements. Our website not only functions but looks and feels great. We were able to create a plan and stick to it, resulting in a great looking product. Coming into the hackathon with a solid plan is required if you want to complete everything you want. 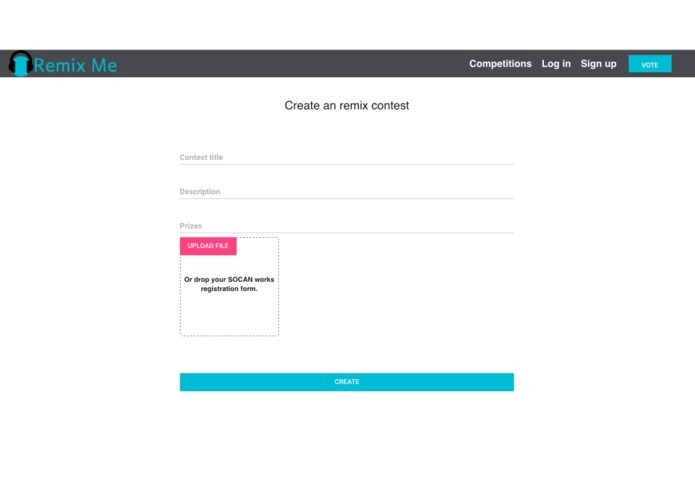 We hope to expand our catalog of remixes and improve our user experience even more. We have our core requirements completed for the hackathon, but there are many more features we would like to add. Some of this include a more intelligent matchmaking system and more tools for artists to create the best remix possible. I worked on our documentation/planning for data structures and site layout. In addition I worked on the site's React and CSS elements.